Aramex, a leading global provider of logistics and transportation solutions, has launched a more personalised customer interaction channel through its partnership with WhatsApp for Business. The rollout of the pioneering service is part of the company’s efforts to enhance customer experience and digitise the end-to-end shipment journey, said a statement from the company. In its preliminary version, the service will include a “track and trace” functionality as well as a “find Aramex nearest location” feature, it said. Ultimately, the service aims to provide an on-demand and personalised customer interaction for shipment notifications, live location sharing, new delivery instructions and scheduling, offering highly customised last mile preferences and an upgrade to the company’s service level, it added. “We are continuously looking at innovative ways to revolutionize customer experience and modernise our digital touch points, providing an opportunity to create a richer, easy to use and more engaging customer experience. This means we are focusing on a simple, secure and reliable interaction, which is what we promise to offer through WhatsApp,” he said. “Aramex will be one of the first companies in the industry to roll out this service to customers on the back of an AI based Chatbot, a testament to our focus on enhancing customer experience as part of our new digital strategy. This will be a gamechanger in the way we interact with customers,” added Sleeq. 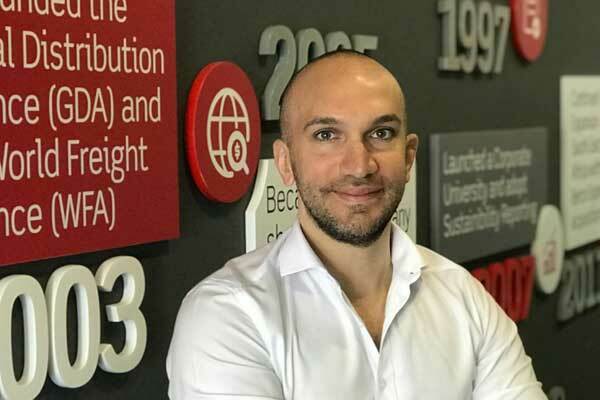 Over the last several months, Aramex has been focusing efforts and resources on delivering on initiatives in its digital transformation strategy, a key pillar of the company’s new strategic direction. Disruptive innovation will help improve the company’s operational efficiency, shorten delivery time and ultimately serve to surpass customer expectations. In 2017, the company launched its artificial intelligence enabled Chatbot on Facebook Messenger, "Aramex Bot", a service that enables personalised, scalable conversations with customers about shipment-related queries and different service offerings.